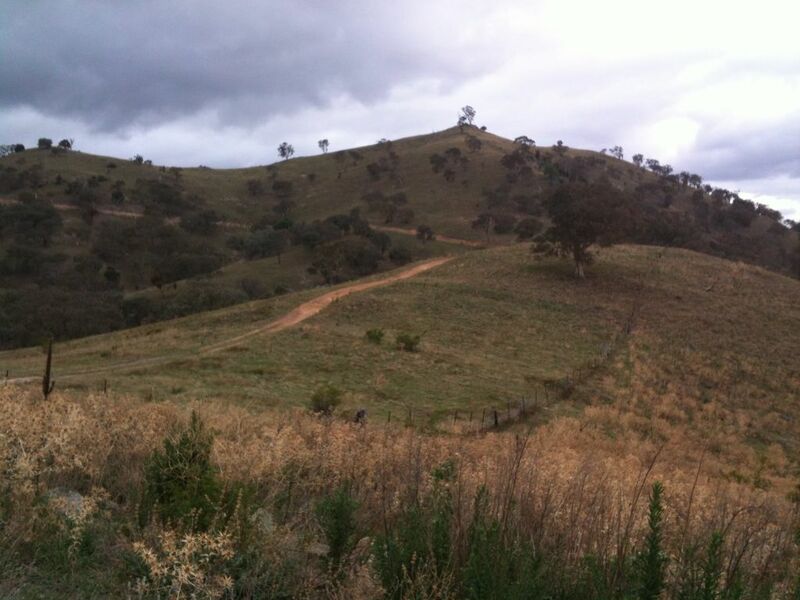 I was advised by Andrew VK1NAM that this hill was fairly difficult due to not only the climb needed (I measured about 420m, from car park 685m to summit 1105m) but the number of steep sections in the path. He was certainly right. I didn’t give up but I was close to it when I got to what seemed to be the high point of the road, then it started to fall and did not seem likely to resume a climb. At that point I called Andrew on the phone and asked for advice. 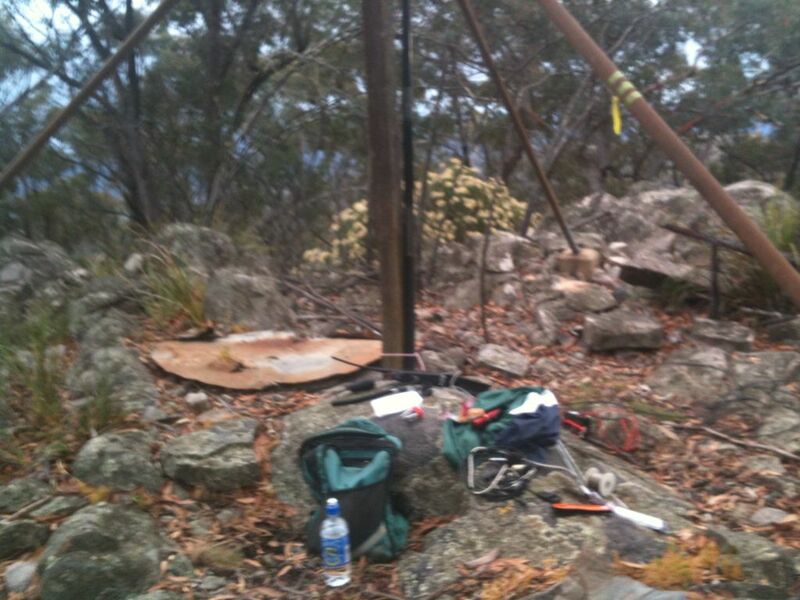 Turns out that the summit is in bushland, quite rocky and treed, and I was within a few metres of the point where he had left the path to negotiate the final 100m of climbing through the bush. I got to the summit at about 18:48 local time after leaving the car at about 17:10. Quite a long trip but understandable for 420m of climbing. 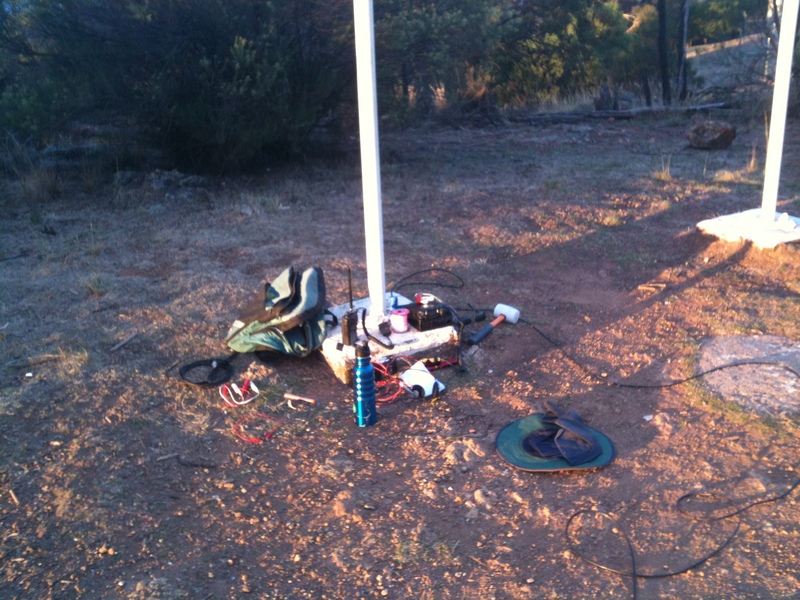 Set up the 40m dipole, called cq and immediately had a contact with Andrew VK1NAM who was in Melbourne on a family trip. 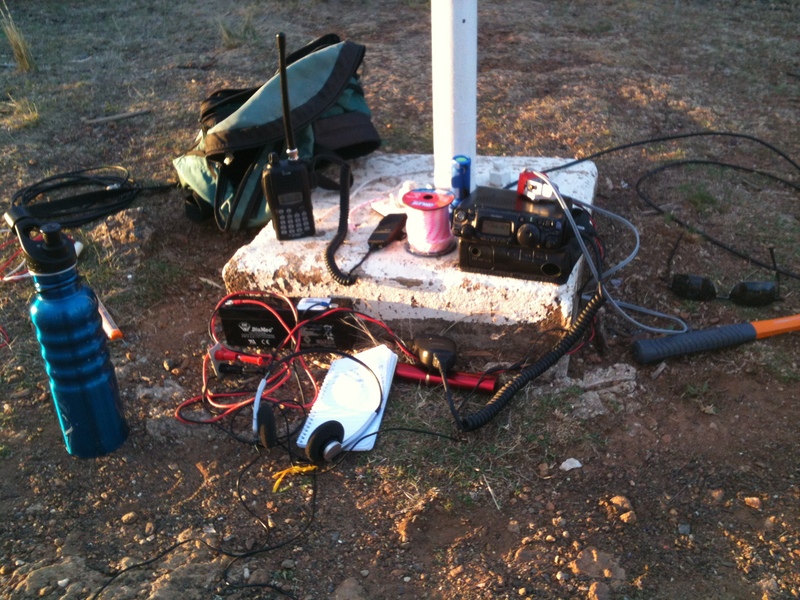 Another 10 or so contacts followed on 40m and 2 on 2m FM including contacts on both bands with Matt VK1MA who was having problems at Black Mtn on 2m due to the TV and other transmitters at that site. Although my signal was strong enough, spurious signals produced in the front end of his receiver were making it difficult copy at his end. 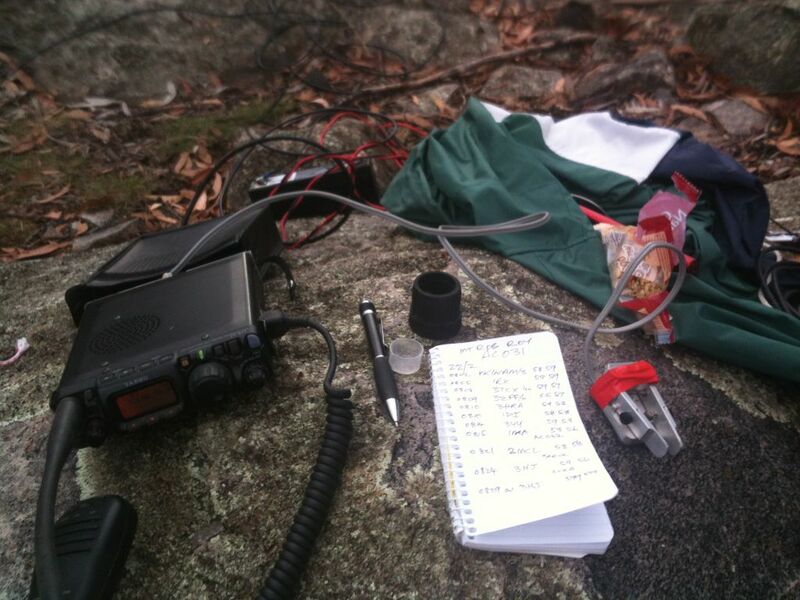 One contact on 40m was with Luke VK3HJ and we had a cw contact as well as ssb. My first activator CW contact. Packed up at 19:45 local just before sundown. Left the summit just before 20:00 and got back to the car 1 hour later with a bit of moonlight helping me find the path and avoid rocks. Nice lights from the city. If I took my camera I would have better shots to show here. 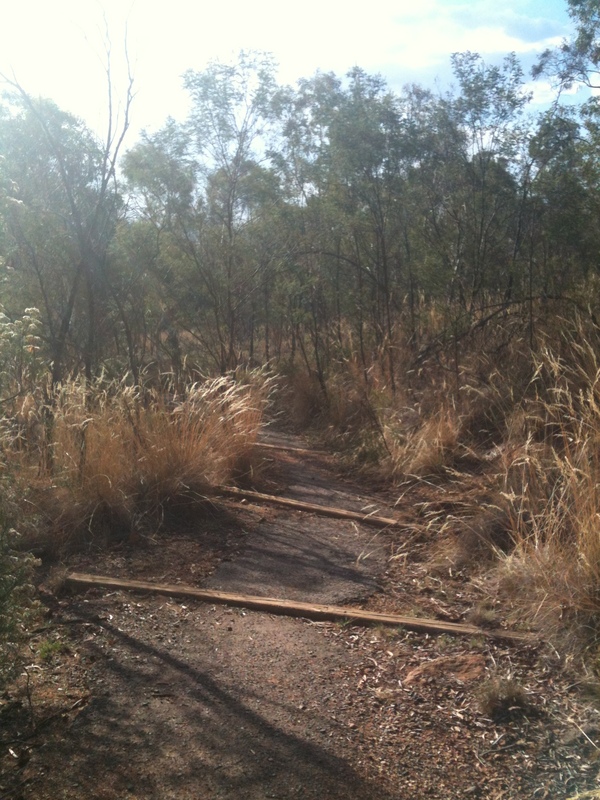 Walking tracks around the adjacent hills of Mt Ainslie and Mt Majura and to the top of each provide SOTA activators with ready made trails, with some steps where needed. 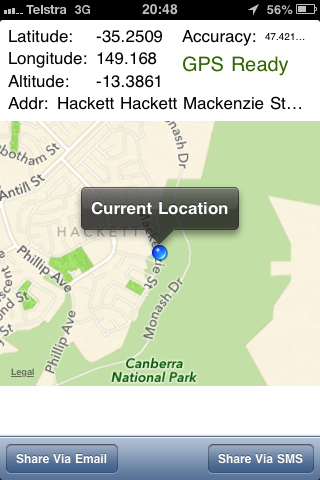 The ascent from street level to mountain top for Majura is about 200m. 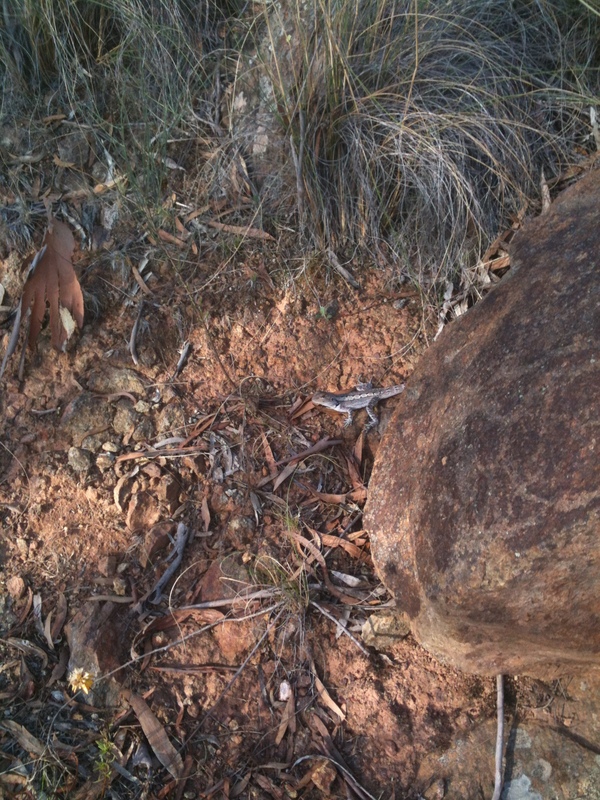 The walk is in bushland, mainly eucalyptus trees and some bushes. 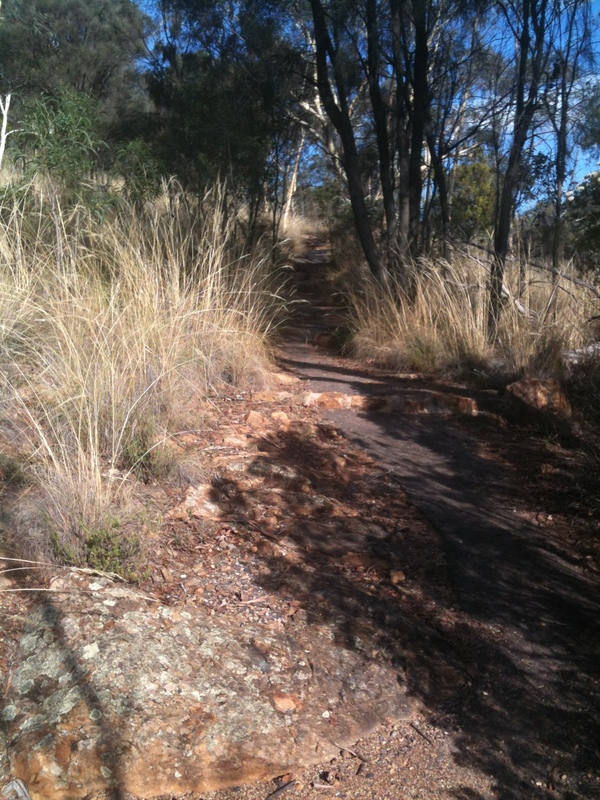 The first 70% of the track to the summit is an easy grade with some steps and two switchbacks. There are paths leading along the western side of the mountain and to the top, with a rough roadway and a locked gate at the top where the new sealed road arrives at the summit. 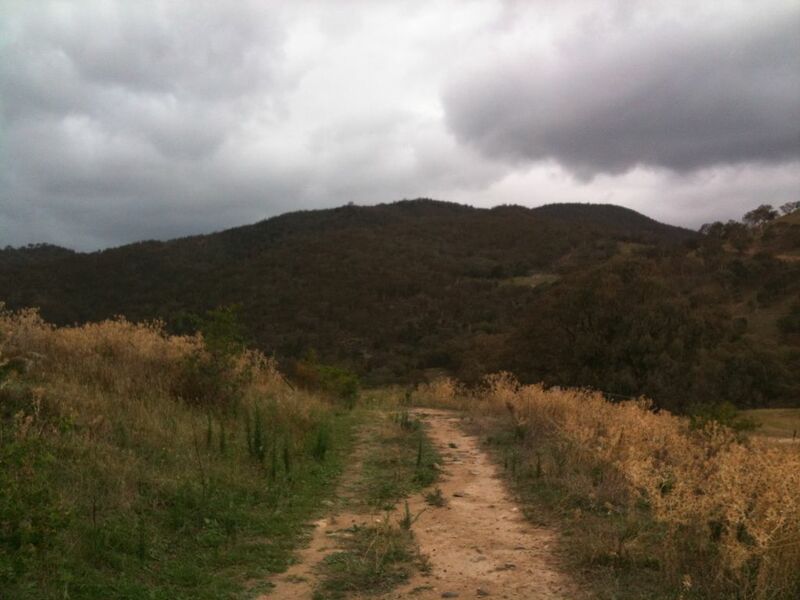 The last 400m of the walk up this fire trail is the most demanding part of the walk. I stopped several times to drink some water and let my HR drop back. The total time to the top was about 50 minutes. I notified a changed start time via SOTAWATCH.ORG.UK on one of these stops, due to a delay in getting started. 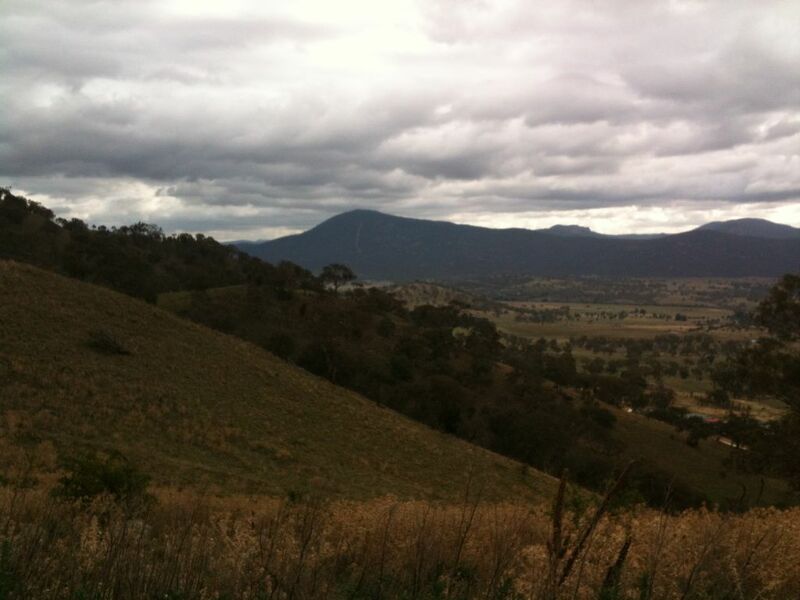 In some areas local conservation groups are undertaking rehabilitation of the bushland, planting new trees to restore the variety of trees on the hillsides. One sign about this activity mentioned that it had been used for sheep grazing. 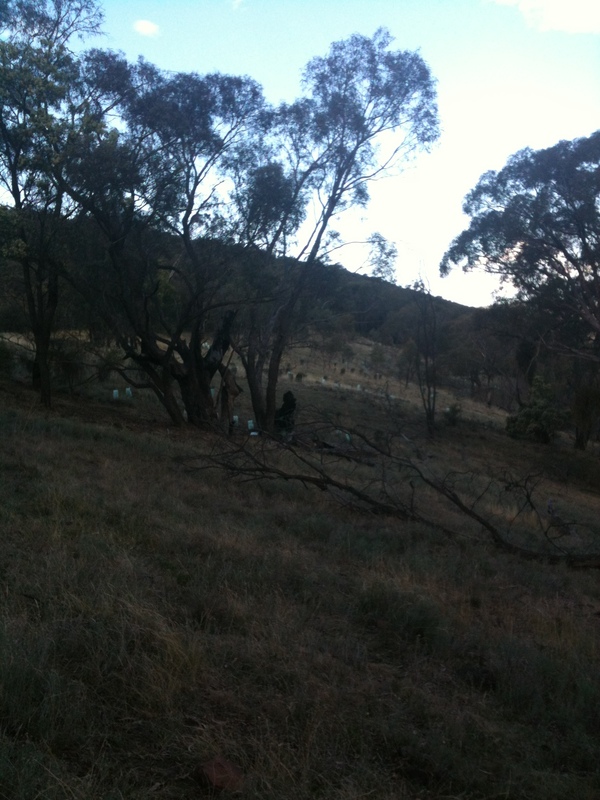 Sheep are particularly destructive to native trees and grasses due to their teeth which can reduce grasses to almost zero height so they cannot recover. Native Australian animals cannot do this as their teeth are set further back in their mouths so in drought, their numbers drop off and the grass survives. 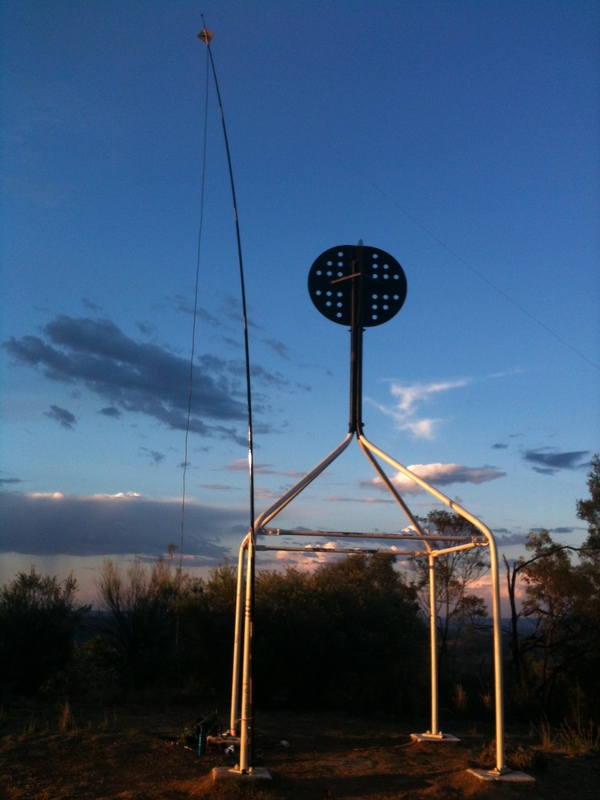 At the summit there is a steel trig structure that is readily used for supporting a light fibreglass rod for the 7 mhz antenna. SIgnal levels were good with some reports being s9 so this basic setup with 5 watts and a low dipole is quite effective for “local” contacts, ie. within a single high angle F layer reflection. The truly local contacts within line of sight do not require ionospheric reflection but sometimes can be affected by reflections causing cancellation or at least interference depending on the density of ionisation. I did CQ on the lower end of the band using CW but got no replies. Some Europeans and Americans were heard but working dx on this band requires lower angles of radiation and a low antenna is not good enough. 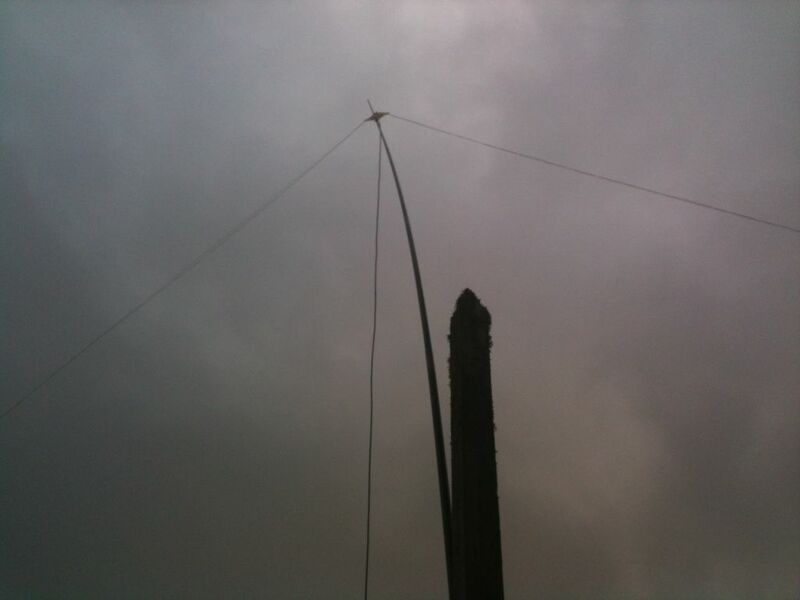 For that a vertical will be necessary unless a 15m high support point is available.